Deal Done: Chelsea Complete Deal For Midfield Superstar, Will This Cost Sarri? 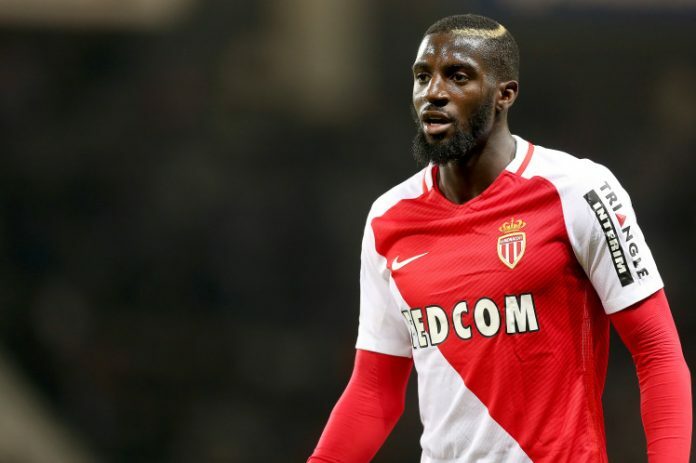 Tiemoue Bakayoko has joined AC Milan with one year loan option with a transfer fee worth £5m (with an option to buy in the next season with a transfer fee worth £35m). It was a bittersweet journey for Bakayoko till date in his career. After his great performance for AS Monaco in 2016-17 season, the former manager of Chelsea was very much impressed. So, he has urged the Chelsea Board to bring in the French midfielder in the Chelsea side in the previous summer transfer window. The situation was so nice for Tiemoue Bakayoko. People have thought that he would surely replace Cesc Fabregas in the midfield for Chelsea. The fans were proposing to play the midfield duo of Tiemoue Bakayoko and N’Golo Kante will help them to defend the Premier League title in the previous season. But the things have not worked out the way it was thought to be. Antonio Conte used to play with a 3-5-2 formation in the previous season in most of the big games in the Premier League. But, in most of those games the performance of Tiemoue Bakayoko was awful. His mistakes have costed badly for Chelsea FC in the two defeats against Watford and Bournemouth. Tiemoue Bakayoko has been brilliant in his career at AS Monaco. AS Monaco have won the Ligue 1 title and reached to the semi final of UEFA Champions League in the campaign of 2016-17 Season. The former manager of Chelsea, Antonio Conte has himself scouted the French midfielder in the UEFA Champions League matches. But the things have suddenly changed for Tiemoue Bakayoko at Chelsea. In the Premier League, it is not a very easy job to accommodate with the style of play. Bakayoko was not able to make his own identity at Chelsea. He has lost his position sense, his first touch was really poor and also his passing was not up to the mark. So,it was difficult for Tiemoue Bakayoko to settle in the Maurizio Sarri’s system at Chelsea. We have seen it in the preseason matches of Chelsea too. Maurizio Sarri always wished to have players who have good passing ability with brilliant passing accuracy. Tiemoue Bakayoko’s ball distribution is not to that mark to impress Maurizio Sarri in the preseason matches. So, it was quite obvious that Tiemoue Bakayoko would not get any chance under the management of Maurizio Sarri at Chelsea. The French midfielder already became the sixth or seventh choice in the pecking order. The Blues will play with a three men midfield in this season. So it would have been difficult for Bakayoko to compete against the others to get into the starting lineup of Chelsea in this season. So, a loan move to AC Milan with an option to buy in the next season was probably the best way for both the player and the club. Bakayoko has surely the potential within himself to play in the top level of European football. Maybe he will find his real form in Serie A next season and his career will be changed after that. Next articleManchester City’s Defensive Dilemma : Whom Will Pep Guardiola Choose Between Them?